Now Servicing in Virginia Beach, Norfolk, Suffolk, Chesapeake, and Surrounding Areas. Rejuvenate, relax, rejoice; Lily’s Spa Room provides an exciting experience in all over health revitalization. Welcome to Lily's Spa room. Our goal is to serve our clients with the utmost respect and professionalism, while completely pampering you. We want you, as our client , to enjoy these positive moments of relaxation and peace whether it's our enriched therapeutic facials, peels, a well-deserved multileveled massage or a wax. We're here to help melt the stress away to promote health and well-being. 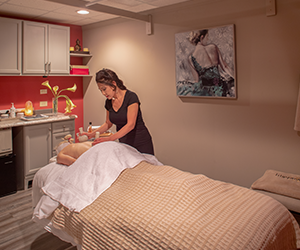 When you want expertise in skin care, massage, and body waxing, you can count on Lily’s Spa Room to provide you with the best in overall spa care. Our rejuvenation services will help you feel amazing. Proudly assisting men and women in Portsmouth, VA for many years, we provide outstanding services to help you look and feel wonderful. 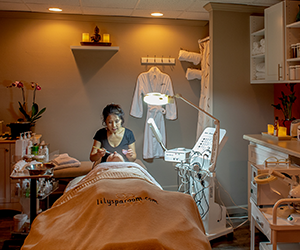 From skin care with aging treatments and cleansers, to skin softeners and facial waxing, our spa makes you look younger, healthier, and beautiful.